A monument the location of an English Civil War battle may be in the wrong place. The Battle of Stow-on-the-Wold took place in March 1646, and was the last major battle of the first English Civil War. The English Civil War was actually a series of three civil wars all taking place consecutively, other than a period of peace throughout 1647. 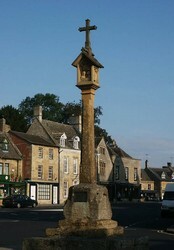 The memorial stands about three miles north-west of Stow-on-the-Wold in Gloucestershire. However, local investigations suggest the battle may actually have been fought two miles closer to the town itself. The Battle of Stow-on-the-Wold took place on 21st March 1646 when Royalist morale was low. A force of 3000 Royalists (Cavaliers) commanded by Sir Jacob Astley battled against 2,500 Parliamentarians (Roundheads) commanded by Sir William Brereton and Colonel Thomas Morgan. The Roundheads won the battle and, in 1651, the Royalists would lose the English Civil War. However, the battle had already led the Royalists to admit defeat and, on 5th May, Charles I surrendered in Newark, Nottinghamshire. A monument marking an official battle site in the Cotswolds might be in the wrong place, historians have claimed. The memorial to the Stow-on-the Wold battle stands about three miles (4.8km) north-west of the town, on a hill outside Donnington. The Royalist defeat at Stow, in March 1646, was the last major battle of the first English Civil War. But the local civic society said new investigations suggest the site was two miles closer to Stow itself. Spokesman Tim Norris said the Cavaliers fled the site of battle and the infantry was chased back to Stow square by the Roundheads. "[The Royalists] must have been much nearer to Stow in order for the infantry to get into the square before the parliamentary cavalry would have overtaken them," he said. "You can imagine an infantry man loaded up with all his kit and his musket would have a job to run. He must have been very tired on march to have escaped men on horses at that sort of distance." Doubt was cast when the society started to investigate how to improve access for visitors to the battlefield. The siting of the monument in 2002 was based on the discovery of some lead shot and also local folklore. The Battlefields Trust, which protects the UK's many battlefields from destruction and provides a range of battlefield-related activities and information, is applying for a £50,000 lottery grant to carry out excavations at a new site closer to Stow. Stow Square, where the Royalists fled to after defeat. In the spring of 1646, after about four years of warfare between the Monarch and Parliament, morale of the Royalist forces was low. King Charles I was getting more desperate to hold the Royalist cause together whilst also waiting for the long-promised relief from Ireland (where Cromwell's Parliamentarian forces conquered a few years later and killed 200,000 civilians), Scotland and France. It was at this point that Sir Jacob Astley took command of the Royalist (aka Cavalier) forces in the west and began to gather up the remnants from the handful of Royalist garrisons still left in the west. But because Astley was a strong and experienced soldier, he was able to get together a fairly large force of 3,000 men. Astley then started to march his army to Oxford, but the news quickly reached the Parliamentarians (or Roundheads). What ensued was a period of thrusting and parrying along the River Avon as Astley tried to evade certain defeat. Finally, Astley had no choice put to stop and take on the Roundheads, who had a slightly smaller force of 2,500 and were led by Sir William Brereton and Colonel Thomas Morgan. 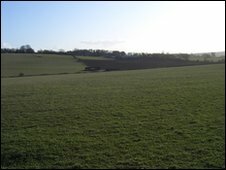 Astley chose a site just outside the town of Stow-on-the-Wold in Gloucestershire, straddling the present day A424 road. The Roundheads lined their forces up to the north west of the Royalists' position. Confident of victory, the Roundheads charged up the hill, but the Royalists held and even pushed back the Roundhead infantry. However, the Roundhead cavalry, under Brereton, rolled up the Royalist cavalry on the right flank. The Cavalier cavalry fled the field and the infantry fought a running retreat southeasterly back to Stow Square. Finally, the defeated Astley sat down on an ancient cross monument in the square and declared, "You have done your work, boys, and may go play, unless you will fall out among yourselves!" 1,000 Royalists were killed, and 1,000 were taken prisoner. The prisoners were marched to Gloucester and after further confinement they were exchanged for Parliamentary prisoners or released on oath not to take up arms again. Sir Jacob Astley was imprisoned in Warwick Castle until his release in June when Oxford surrendered to Parliamentary forces. He eventually retired to his family house in Kent after a long and most eventful life. He died in 1652 at the age of 72. Colonel Thomas Morgan saw service in Scotland and was promoted to the rank of major-general. He fought in Flanders and was involved in the English Republic's war with Holland in the 1650s (during which English ships with royal names were re-named) when he became governor of Jersey. He died in 1679, a fine soldier who had served parliament and his country well. Last edited by Blackleaf; May 26th, 2010 at 12:39 PM..
Battlefield 2, Do you play it?